“The Descendants” is the latest film from director Alex Payne (who last brought us “Sideways” in 2004, as well as “About Schmidt” and “Election”), and stars George Clooney (who has already garnered Oscar buzz for his turn in “Ides of March,” which we reviewed earlier this month). On those two points alone, this movie has a lot going for it. 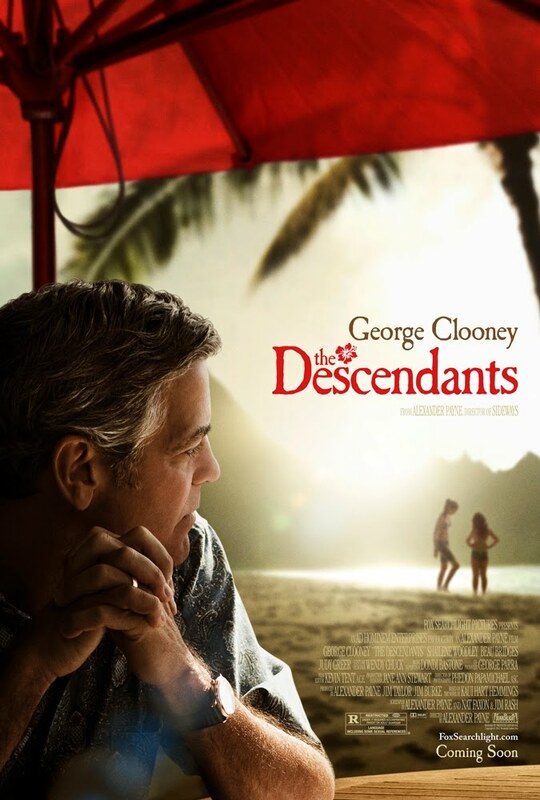 But “The Descendants” is also a film set in, and a film about, Hawaii, based on the novel of the same name by local author Kaui Hart Hemmings. And that’s why we were especially eager to see it. 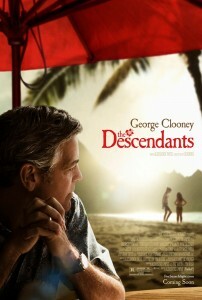 “The Descendants” doesn’t go into wide release until November 18, but it has already played to much acclaim at film festivals in London, New York, and Colorado. Fortunately, the Hawaii International Film Festival also made the cut (as it should). So with the help of our good friend Chris, we were able to score the hottest ticket at HIFF, and get an early look. We won’t often review a film before it comes out (it’s a small miracle we get to see movies while they’re still in theaters), but this one was too special to wait. If you’ve seen the trailer, you’ve been spoiled more than you would be with our discussion. While we had notably different takes on “The Descendants,” it’s safe to say we both recommend it… especially up against “Twilight” and “Happy Feet 2,” which sadly share the same release date. How does the Aloha State fare on the big screen? How well can Clooney play a regular guy? Listen for our take!